Is your close friend ready to make the vow to love another person in sickness and in health? Then get ready to celebrate! While we as Jehovah’s Witnesses due not celebrate certain holidays, we certainly celebrate weddings and anniversaries. So take this opportunity to give a gift that shows how excited you are to see two loving people commit to supporting one another throughout life. Perhaps you prefer to help your friends start off their marriage with a little bit of the financial assistance often needed to help a young couple begin their new life. If a cash gift is what you have in mind, Ministry Ideaz has a wide variety of scriptural wedding cards that would be perfect for presenting such a gift. Accompanied by beautiful artwork and encouraging messages straight from our Bible, our spiritual greeting cards are also perfect for sending your blessings even when you are unable to attend a loved one’s wedding. 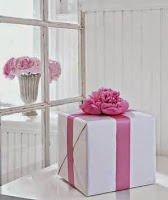 The important thing to remember when shopping for a gift as Jehovah’s Witnesses is that our service to Jehovah God is the most important part of our life. We use the “sword of the spirit” almost every day as we teach others the Truth, and it wears out with time. (Ephesian 6:17) Have you ever considered getting your friends a “sheath” for that “sword”!? :-D Why not gift a brand new deluxe leather Bible cover for your friends on their special day. Durable, reliable, and sure to keep their special Bible in tip top shape for years to come, this is a gift that a Jehovah’s Witness can always use. We’ll even gift wrap it for you! If you’re not sure exactly what color or style your friend would prefer, not to worry. Ministry Ideaz also offers flexible gift cards which can either be emailed to your friend, or printed out to give in person. Ministry Ideaz also has many service supplies in addition to NWT Bible covers that a newlywed couple, intent on helping spread the Truth, will appreciate, such as quality briefcases, preaching folios and more. Marriage is the foundation of family life, a sacred institution between a man and woman, instituted by Jehovah God himself. 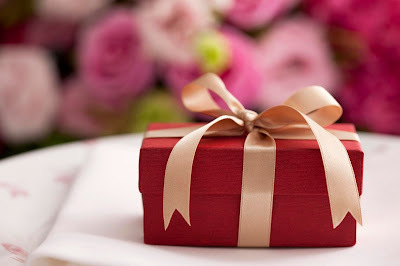 It is a special touch to provide a gift that not only speaks their love and commitment to each other, but to Jehovah as well. Alright, it’s your turn. What would be your favorite gift? It’s hard to choose just one, isn’t it? But we’d love to know which is your favorite and why if you’ll leave it in the comments today. I also have one very creative idea of wedding gifts, we can also present them love locks with their name engraved on that.